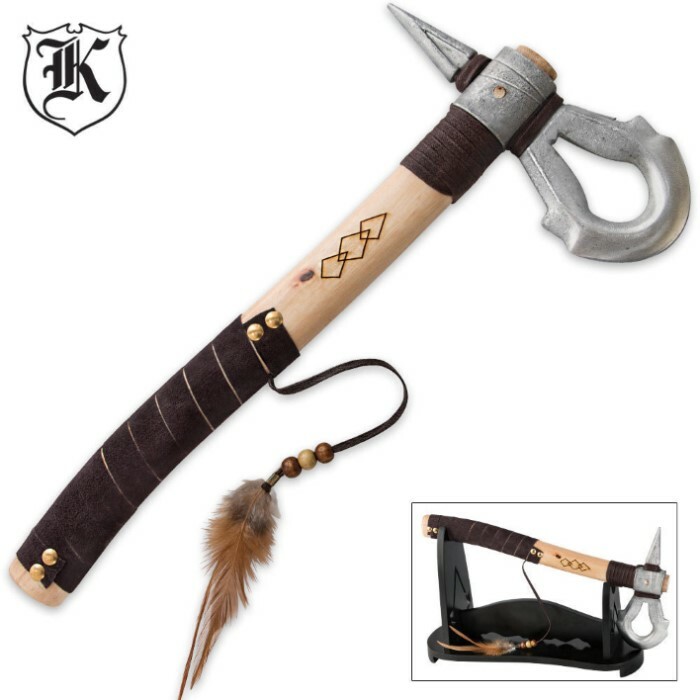 The Iron Cast Bladed Tomahawk is a great addition to you bladed weapons collection. 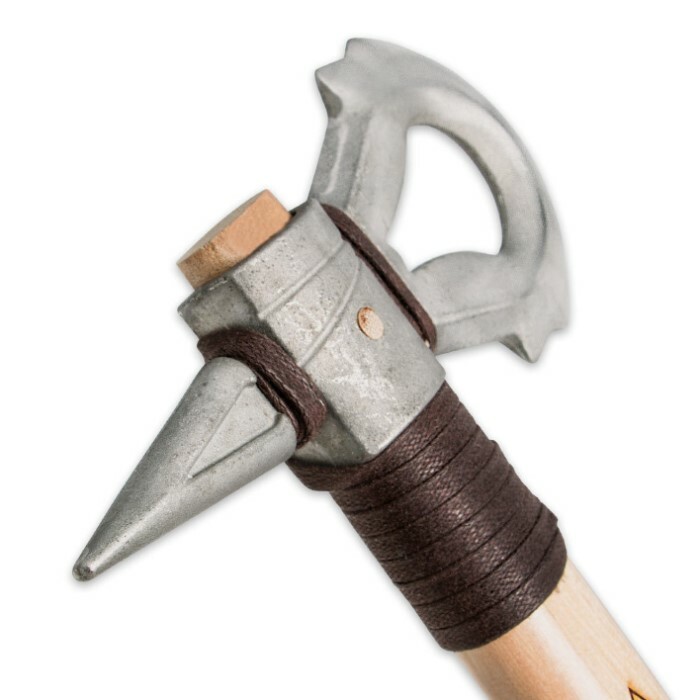 It features a cast iron head with a piercing spike. Burned accent designs, brown cord wrappings and brass stud accents adorn the wooden handle. A black wooden stand completes this package. I received my tomahawk today, and I'll be honest. I was impressed! For 15 bucks I expected a lot less. Definitely a great display piece. Wouldn't recommend using it for anything else other than display. The blade actually came sharpened, though it's still not very sharp. My only complaint is that the handle wrap is terrible. I plan to touch it up and round out the bottom to be accurate with the game's. I highly recommend if you're a fan of Assassin's Creed. For 15 bucks it's a steal. This is a great replica and I 100% would tell others to get this item. By the way, yes, this is from Assassin's Creed as the Assassin's logo is on the stand. You can even see it in the picture. Nice ornamental piece as long as you take good care of it. Cast Iron rusts easily if not cared for. 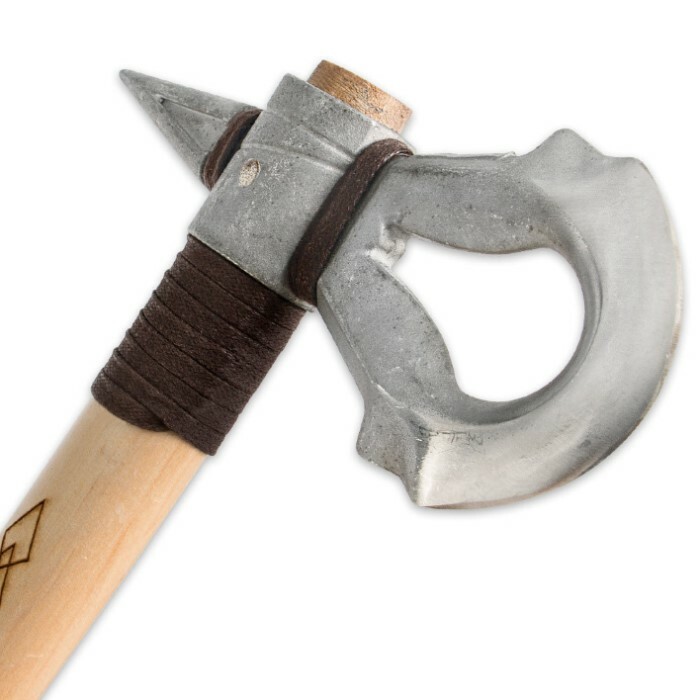 And Sorry Chris (other reviewer) This is definitely not Connor's tomahawk. They are somewhat similar but definitely not the same.